Roused by the first major ISIS-inspired attack on U.S. soil since he took office, President Donald Trump urged swift repeal of an immigration program that brought the suspect to America and laid into a political foe he said was responsible for it — though Republican George H. W. Bush signed the law. Trump insisted Wednesday that Congress must end the visa lottery program under which Uzbek immigrant Sayfullo Saipov entered the country, and he ordered still tighter scrutiny of immigrants already subject to what he calls "extreme vetting." But the White House offered no indication of what new steps the president might be planning. "We have to get much tougher, much smarter, and less politically correct," Trump said. He also said the U.S. justice system for dealing with such cases must be strengthened, declaring, "What we have right now is a joke and it's a laughingstock." Again, there was no elaboration from the White House. Trump denounced the 29-year-old suspect in the truck attack, which killed eight and injured many more, as an "animal," and said he was open to sending the man to the U.S. prison at Guantanamo Bay, Cuba, instead of to trial in New York. "I would certainly consider that. Send him to Gitmo," Trump said. President Donald Trump and Congress are reacting to Tuesday's deadly truck attack in New York City. "We must not allow ISIS to return, or enter, our country after defeating them in the Middle East and elsewhere. Enough!" Trump tweeted. He added that he has ordered Homeland Security to step up "extreme vetting" of immigrants, like the suspect in New York. Spokeswoman Sarah Huckabee Sanders said the White House considered Saipov an "enemy combatant" and had yet to decide whether to seek to move him out of the civilian judicial system to military detention. A little later, however, prosecutors in New York filed charges in federal court accusing Saipov with providing material support to a terrorist group and committing violence and destruction of motor vehicles. 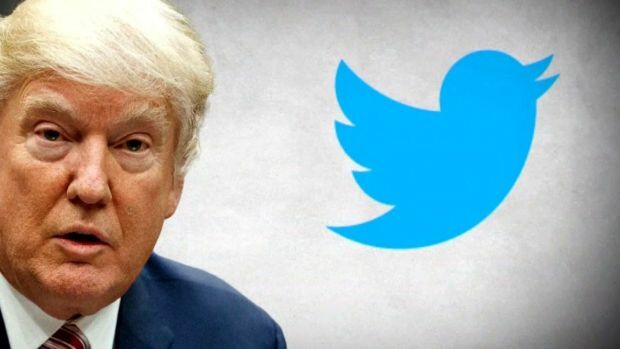 On the political front, Trump took to Twitter early Wednesday to blame Senate Minority Leader Chuck Schumer, a Democrat who represents New York, for the bipartisan visa program used by the suspect to enter the country in 2010. The Department of Homeland Security confirmed that Saipov entered the U.S under the Diversity Visa Lottery Program, which gives people from countries with low rates of immigration an opportunity to come to the U.S. Trump branded the program "a Chuck Schumer beauty," and called on Congress to immediately begin work to end it. It was not immediately clear when Saipov was radicalized by the Islamic State group, but the New York City Police Department said he began planning the attack weeks ago. Schumer did back the lottery program as a member of the House when it was approved with the support of both parties in 1990. It was signed by Republican President George H.W. Bush. Five Argentinians celebrating a graduation anniversary and a Belgian national were among those killed when a truck sped through a bike lane for more than a dozen blocks in an apparent ISIS-inspired attack. Erica Byfield reports. Trump's broadside against a senator from the state still reeling from the attack drew bipartisan criticism. New York Gov. Andrew Cuomo said that Trump's attack against Schumer "plays right into the hands of the terrorists," by sowing division at a time when unity is needed. Sen. Bob Corker, R-Tenn., said it was "probably not the best way to bring out the best in our country." Corker, who has announced he will not run for re-election in 2018, has been increasingly critical of Trump's temperament. Schumer himself offered this advice: "The president ought to stop tweeting and start leading." Sanders later said Trump "has not blamed Senator Schumer and doesn't feel that the senator is responsible for the attack." Sen. John Cornyn, R-Texas, defended Trump's criticism of the visa lottery program. "The diversity lottery visa's been criticized by many people as being pretty indiscriminate in terms of who's accepted into the country. I think it needs to be looked at. And I agree with the president that it can certainly be improved by more of a merit-based system." 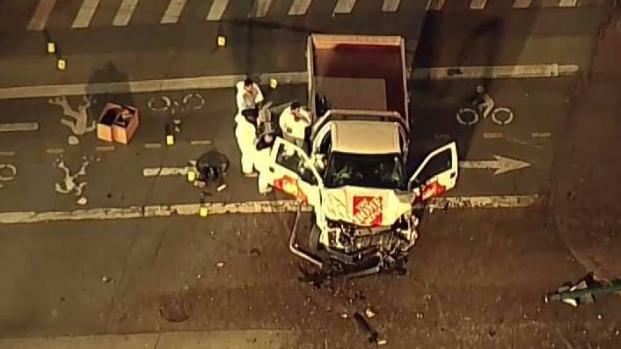 A 29-year-old Uzbek national, identified as Sayfullo Saipov, drove a Home Depot rental pickup truck at least 10 blocks down the popular West Side Highway bike path from West Houston to Chambers streets, hitting nearly a dozen pedestrians. Eight people were killed. Sanders dismissed complaints that Trump was politicizing a tragedy, saying his calls for increasing extreme vetting of immigrants are "something that frankly the president has been talking about for a long time." Indeed, Trump has made repeated attempts to restrict entry into the country through various iterations of a travel ban, which have been blocked by federal courts. The administration has argued that it needs a temporary pause on entry from certain countries in order to develop stricter vetting measures and put them in place. In the meantime, the administration has worked to improve information-sharing with various countries. It also has developed new requirements for entry into the U.S., such as the use of biometric passports that are more difficult to forge. Officials could not elaborate on what new measures Trump was referring to in his tweet hours after the attack when he said he had "just ordered Homeland Security to step up our already Extreme Vetting Program." 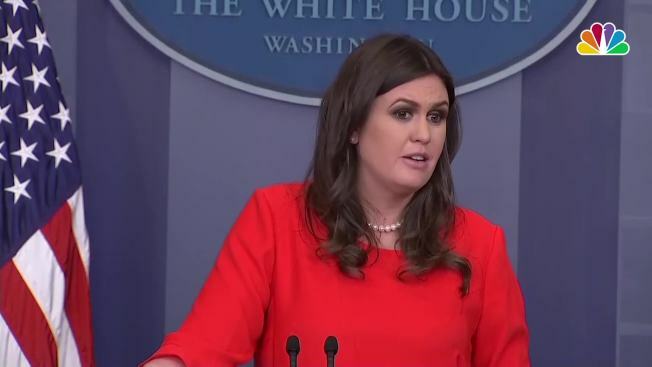 Sanders said that, since the tweet, the president had spoken several times with members of his national security team to "look and see" what more can be done. "But," she said, "we have put in place executive orders already since the president's taken office that help go as far as we can at this point." Trump's swift political response to the New York attacks contrasts with his wait-and-see approach after the October massacre of 59 people by a Las Vegas gunman. The White House then argued it was "premature" to discuss a legislative response and says now it is still studying whether to seek a ban on the modifications used by the Las Vegas shooter to fire his rifles at near-automatic rates. The two responses offer the latest suggestions of how the culture wars that defined Trump's campaign may be coloring his actions. During the 2016 presidential campaign, Trump proposed a total ban on Muslim immigration to the U.S. before embracing "extreme vetting." He has backed legislation that would curb legal immigration and shift the nation toward a system that would place an emphasis on merit and skills over family ties and diversity criteria. Trump late Wednesday repeated his call. "CHAIN MIGRATION must end now!" he tweeted. "Some people come in, and they bring their whole family with them, who can be truly evil. NOT ACCEPTABLE!"